Replacement vaporizer balloons are a must have for your continued vapor enjoyment for the Volcano Vaporizer Solid Valve. They recommend the volcano vaporizer balloon be replaced after about 50 vaporizer sessions; give or take. 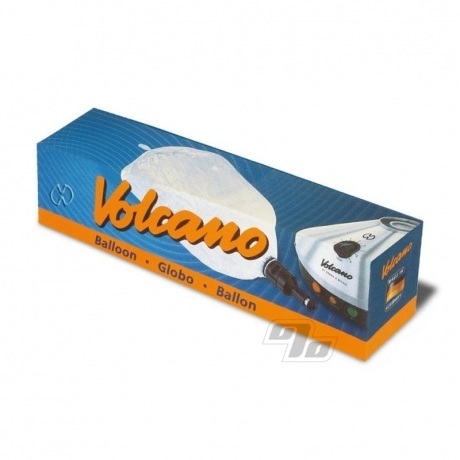 Volcano Vaporizer Solid Valve Balloons, manufactured in Germany by Toppits, measure 3 meters by 31 centimeters or just under 10 feet long by 1 foot. Not only can you get a fresh tasting hit but you get to choose how long you want your Vaporizer Balloon to be. Some people like them a little shorter while others prefer them up to 10 feet long for the enjoyment of literally everyone. Which one do you prefer?